The 720 Series stubby super-cushion (gel-grip) screwdriver features an innovative gel-filled handle that provides elasticity when gripped for maximum comfort. These stubby gel-grip handle screwdrivers are ideal to fasten screws in hard to reach or space restricted areas. 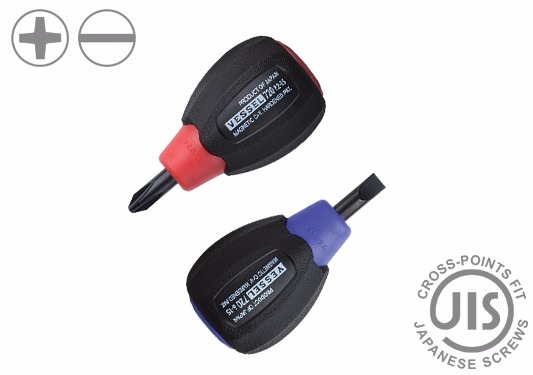 These durable screwdrivers are designed for professional use such as construction, electrical, air-conditioning, water works, or for general use. . Also, the cross-point models are recommended when working with JIS (Japanese Industrial Standard) screws.